1 x DDR2 SO-DIMM support up to 1.0 GB . Intel® 915GME & ICH6M Chipset. 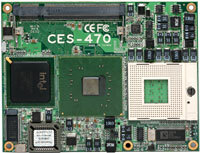 Support Intel® Pentium® M / Celeron ® M processor @ FSB 400/533 MHz . Intel® 915GME & ICH6M . Intel® 915GME Integrated GMA900 Technology. 18-bit Dual channel LVDS interface . up to 150MB/s for each of 2 ports . 10/100Mbps Ethernet port provide by Intel 82562ET PHY . 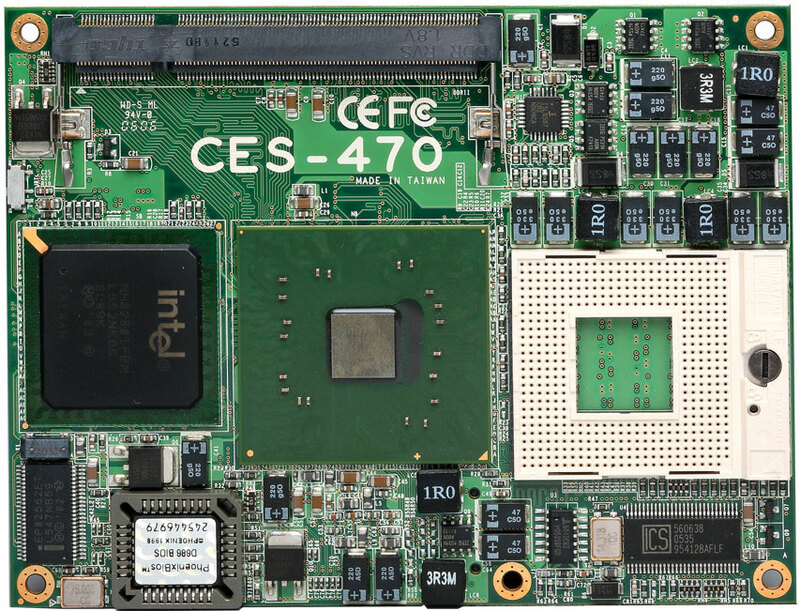 Intel® ICH6M contains an EHCI and four UHCI controller support 8 x Hi-Speed USB2.0 ports . LPC 1.1 support up to 2 x LPC devices .